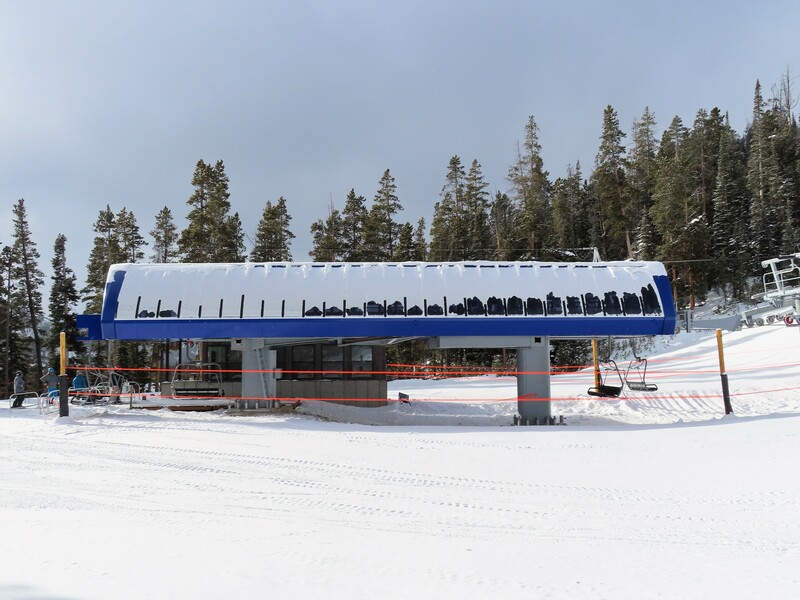 In 2018, the Ramcharger quad moved to Shedhorn to replace a Heron-Poma double. 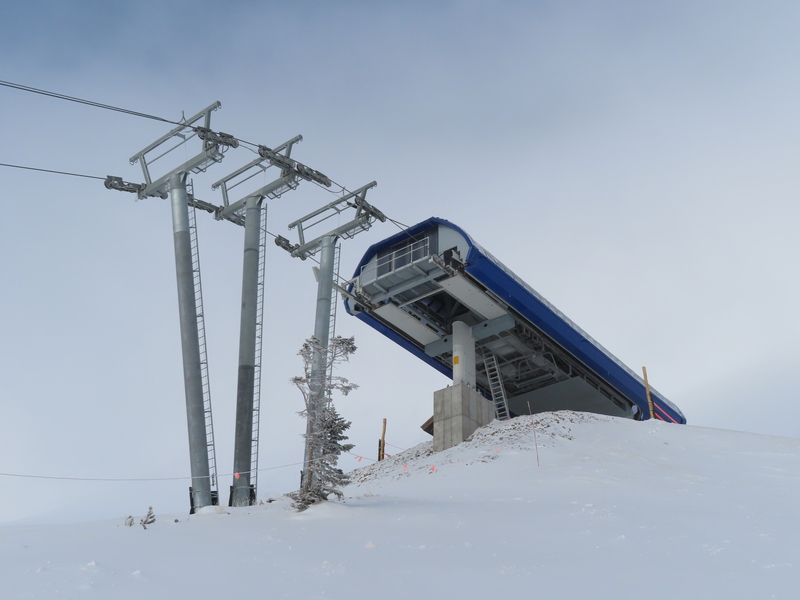 The new lift has new low voltage controls from Doppelmayr. 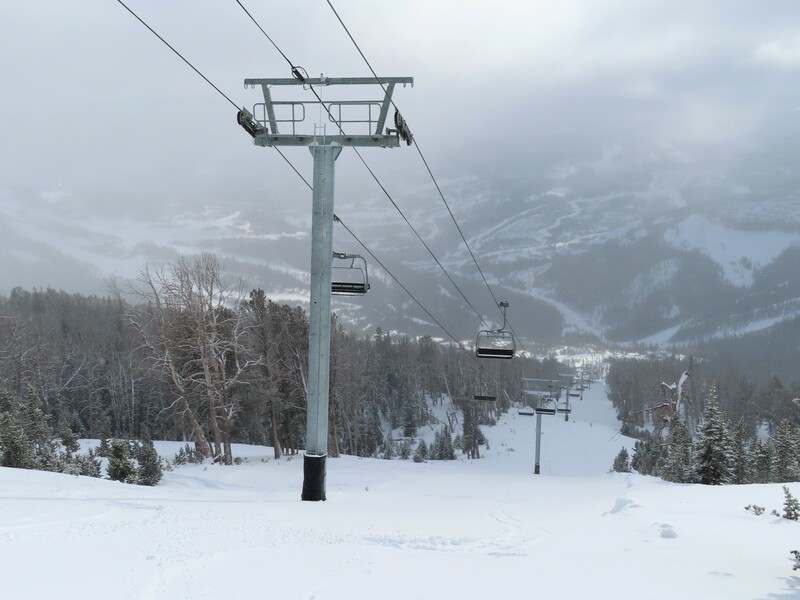 View down the lift line before chairs were put on for the first time. A new #13 tower head and combo assemblies. Terminal under skin and breakover towers. Unloading area and operator house. A new UNI G enclosure was added to the top of the 1990s terminal. 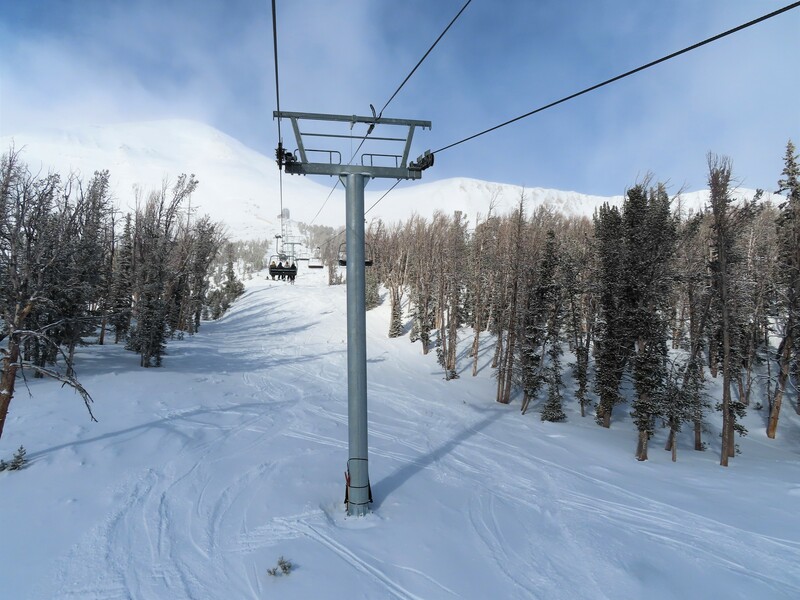 View up toward Lone Peak. Another shot of the middle part of the line. The return terminal and tower 1. Side view of the upgraded Uni station at the bottom. Tower 1 with steep climb out. Small maintenance rail and loading area. 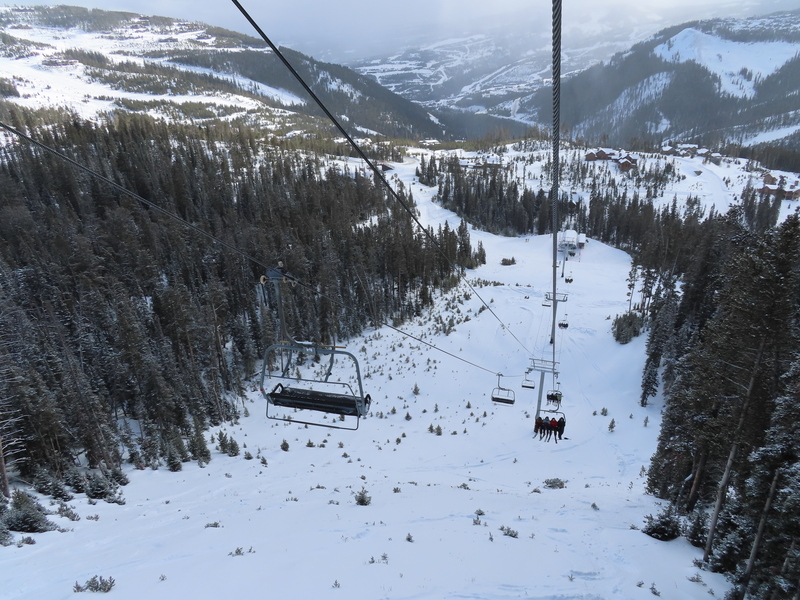 View down the steepest part of the lift. Side view of the breakover. EJ chair taco and DS grip. 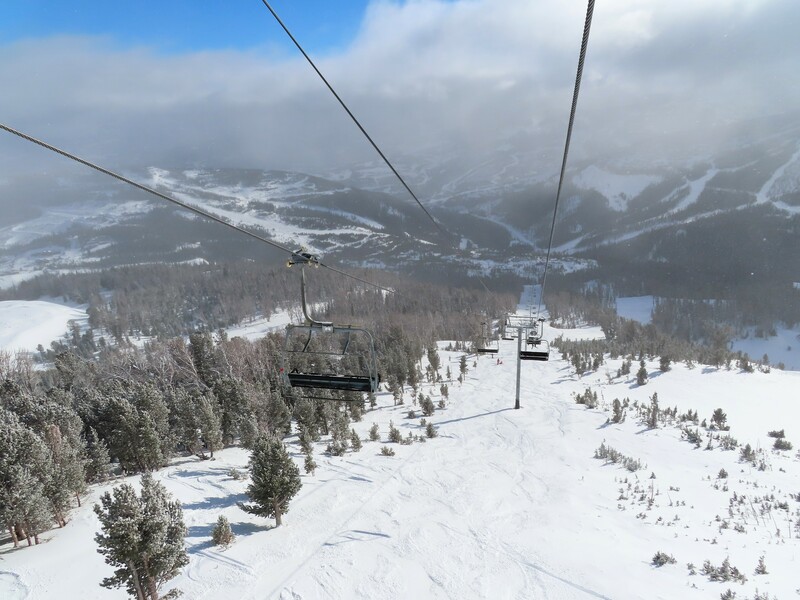 View back down the lift line towards the Yellowstone Club. Towers 16, 17 and 18 up top. 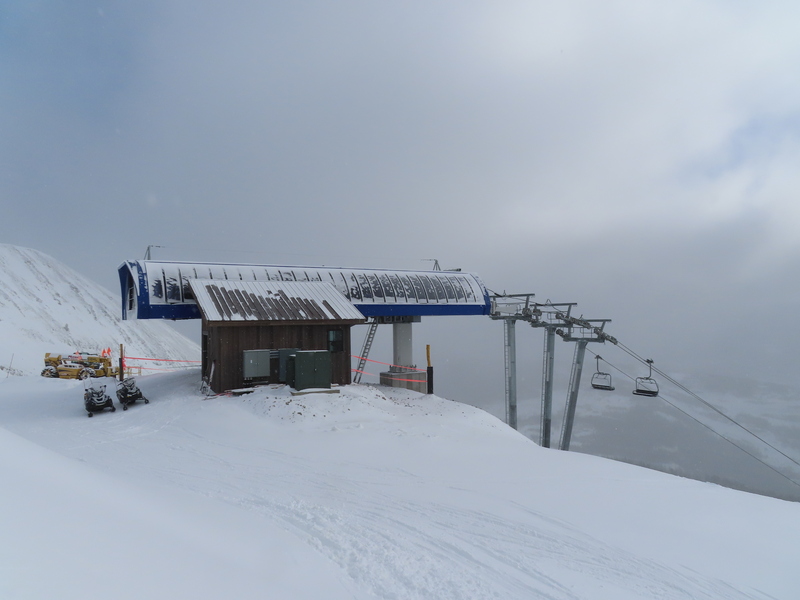 …so is that forklift stuck up there until spring meltoff now? 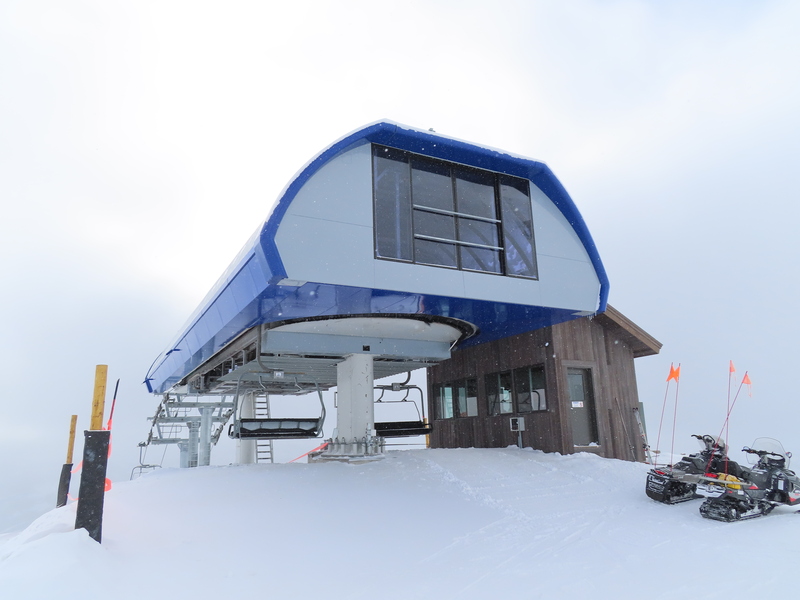 Is the new lift shack avalanche resistant like the old one? yes, it is made of concrete, it has a skin on it to make it look better. What is the new capacity? It appears that there is a lot of chair spacing on the line. Is that why there are extra chairs on the maintenance rail at the bottom? why is capacity so low when the old Ramcharger was 2400pph? Shedhorn has higher vertical than ramcharger so the drive can’t push as much weight. 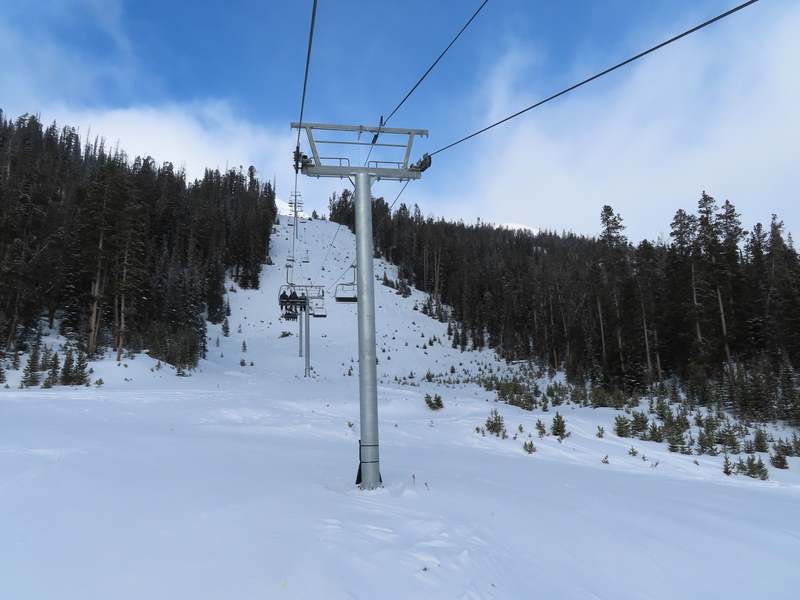 The chairs at the bottom have worn grips which trip the grip pressure alarm so they won’t be used this season. So capacity is going to increase next year when they add those chairs? What is really the mechanism for the DS grips? I don’t really understand the double position mechanism going from the lever to the grip jaw. Are the towers and sheaves new or reused from Ramcharger? 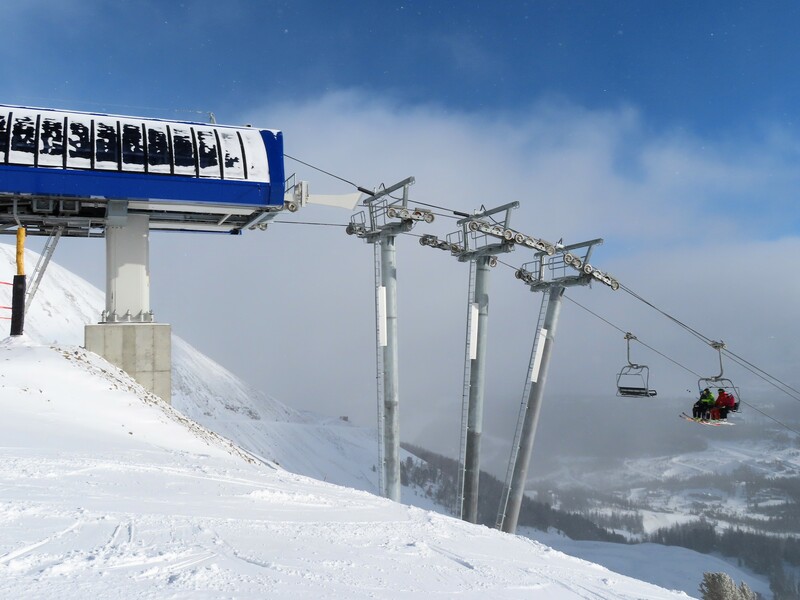 It looks like they reused most of the towers from the old double chairlift, which were Doppelmayr built when the lift was relocated from Andesite Mountain, with extensions for the Heron-Poma crossarms (reminds me of the current Avanti Express at Vail), meaning it was just a matter of directly placing a Doppelmayr crossarm on the existing tube. 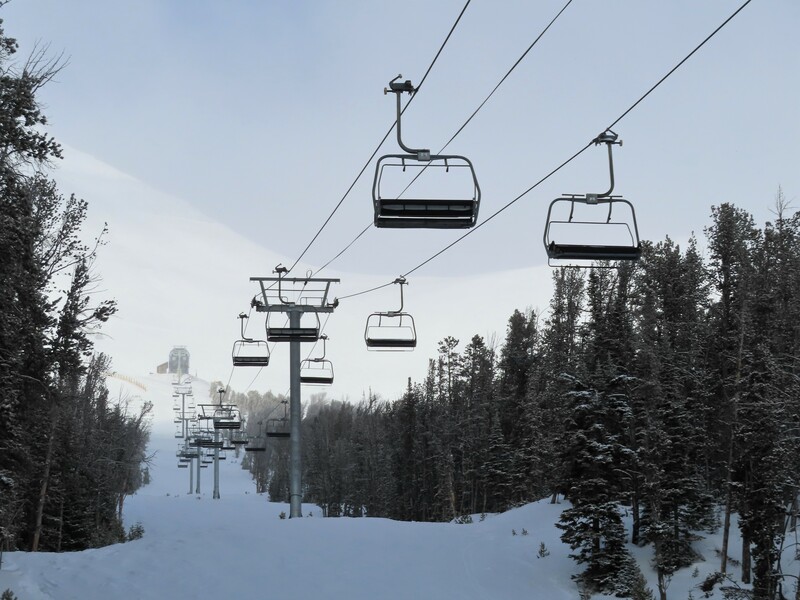 they used the towers from Ramcharger and a couple new ones, the Shedhorn ones while Doppelmayr tubes did not have proper swing clearance for those chairs. 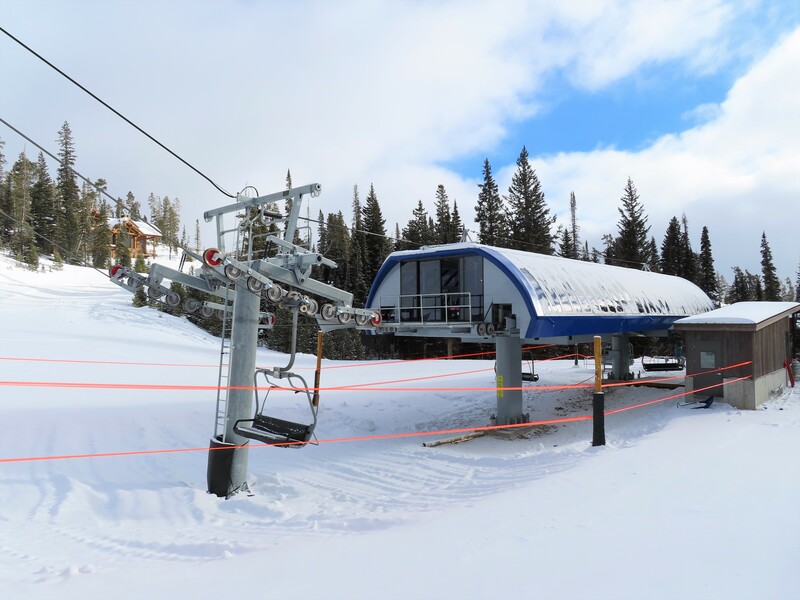 I do really like how Big Sky gave an old lift some love. The first generation UNI systems are a whole lot better than the CLD-260s that the UNI replaced. It was a lot more compact, reliable, and less expensive in the long run. At the same time that Doppelmayr had the UNI, Poma was still making the Competition terminal which was still first generation technology. 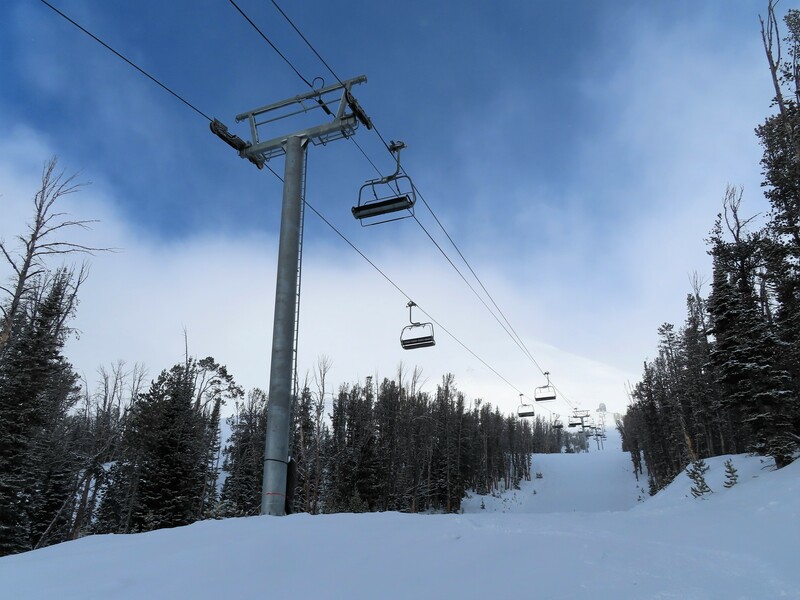 I think that Big Sky knew that Ramcharger still had a lot of life left in it and decided to keep the lift and only give it some minor upgrades. 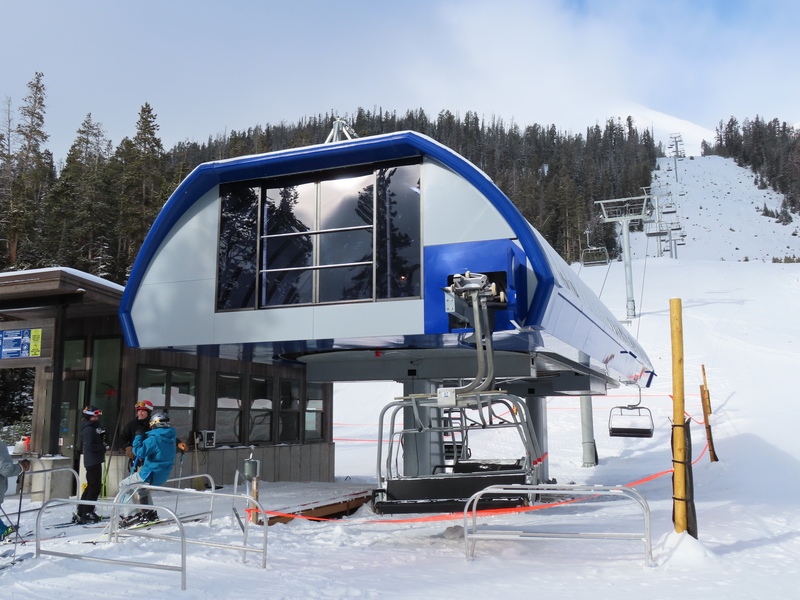 When I first saw the pictures of the new Shedhorn 4 I thought that Big Sky had replaced the terminals with UNI-G terminals when it turns out that they actually just installed a UNI-G terminal skins over the existing UNI terminals. This was probably to resolve the one major flaw with the original UNIs, the maintenance accessibility to workers. 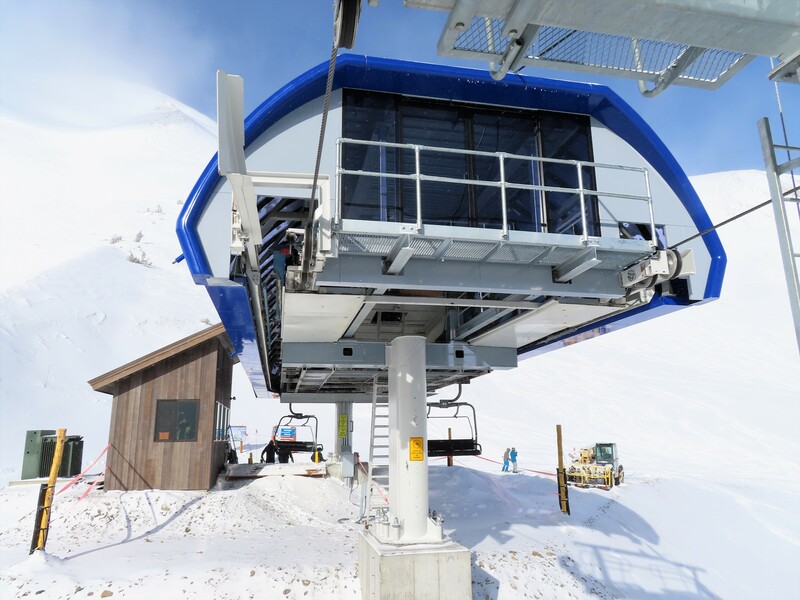 The UNI-G skins provide much more space to work on the lift than before, plus another benefit is the UNI-G terminal skin really makes the lift look like a brand new lift to skiers. 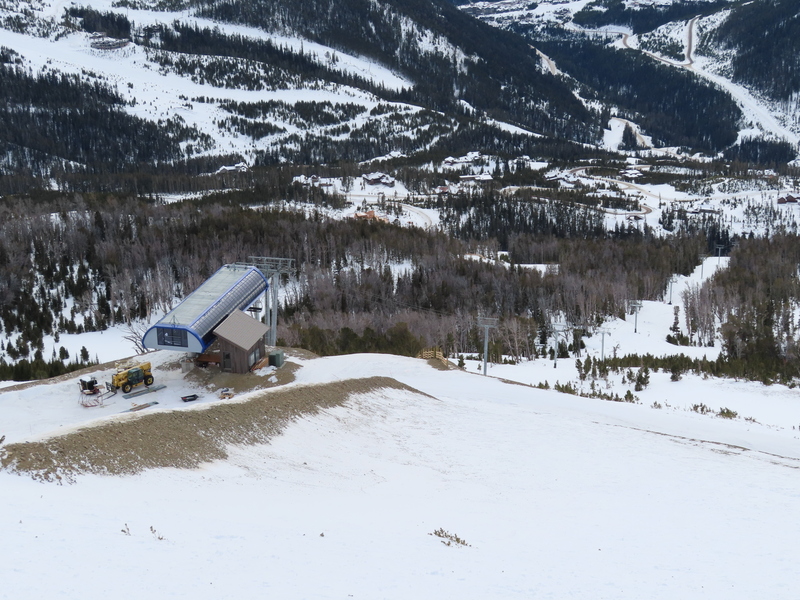 Even when it comes to their first-gen CLD-260, a lot of that technology is still operating in Quebec – notably, the Quicksilver Express from Breckenridge is still operating at Owl’s Head (QC), along with the old Forerunner Express. I’ve rarely seen a POMA of the same age relocated – most are scrapped. Doppelmayr was and still is the king of reliability in the 80s and early 90s. The first-gen UNI enclosure is particularly difficult for maintenance, especially on the return terminal (which had a different enclosure than the more spacious drive). 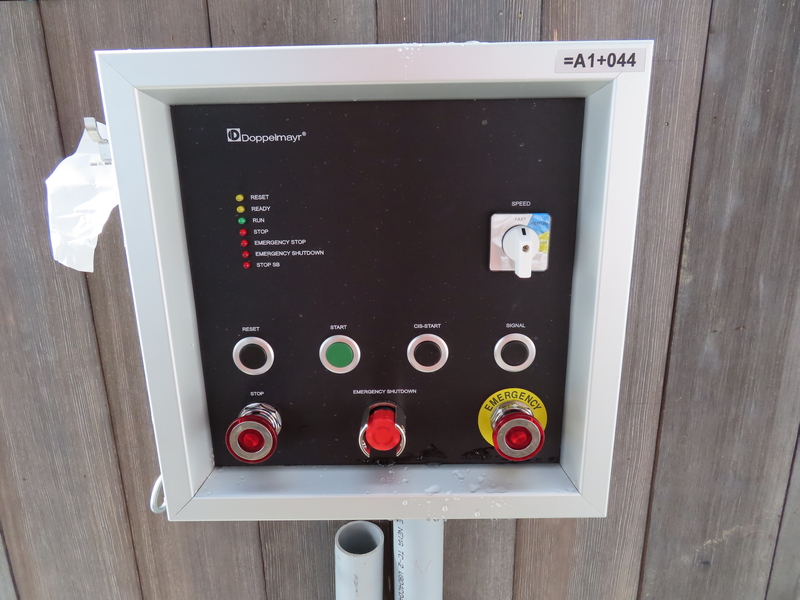 I’m glad Doppelmayr rectified that with the second iteration, which had the same enclosures on both terminals. The old Ramcharger clearly had the first iteration enclosure, which means replacing it with a UNI-G cover was smart and aesthetic. 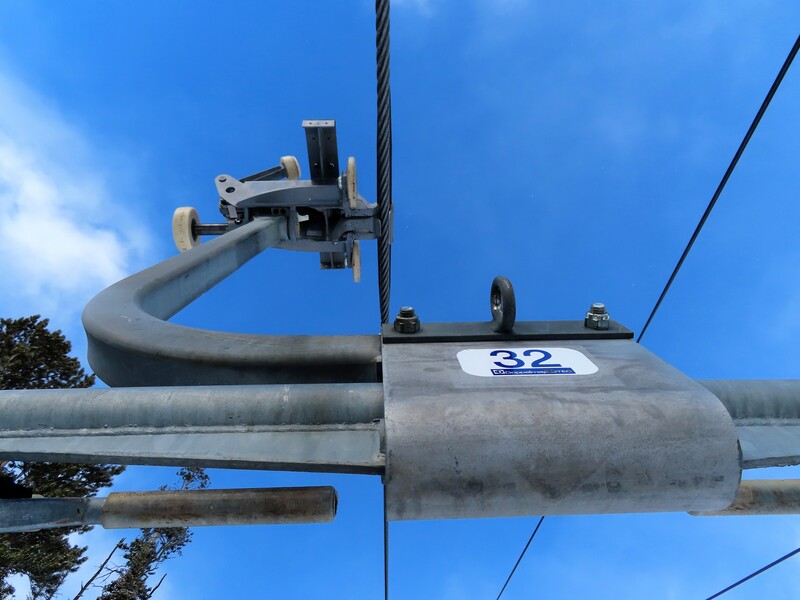 I think Poma’s fixed grips held up better than Doppelmayr’s if we’re talking about the 1980’s. 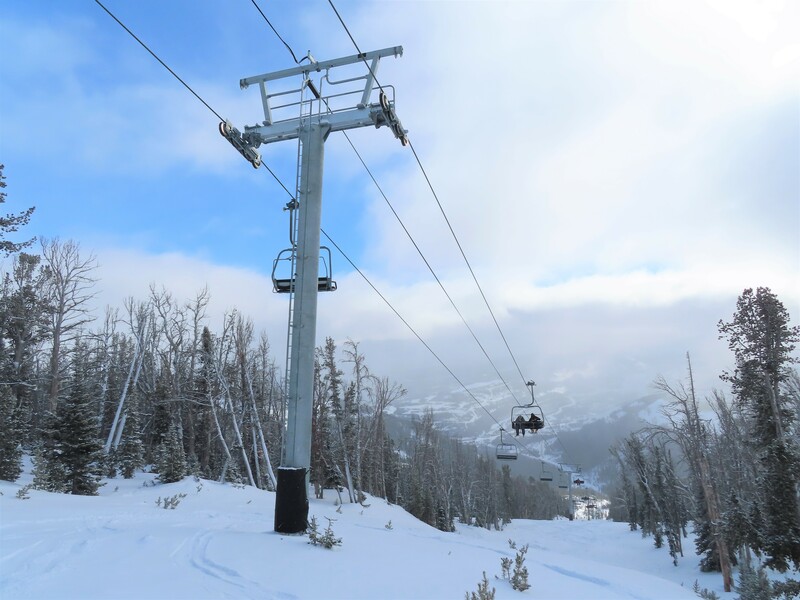 For detachables, I’d say Doppelmayr was better. However, once Poma got to the Challenger I think they took the lead. 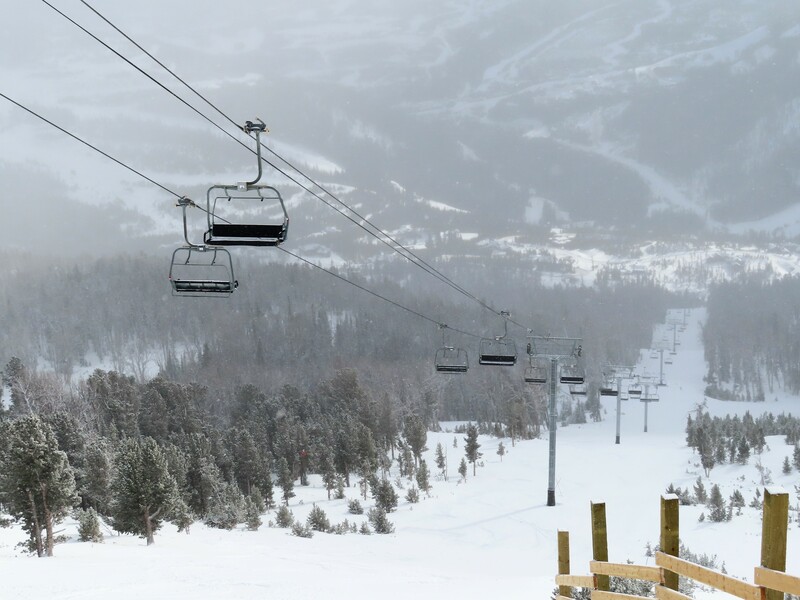 Tremblant’s Duncan Express is a first gen UNI and is not very reliable at all, but I suspect it’s one bad apple in the bunch. 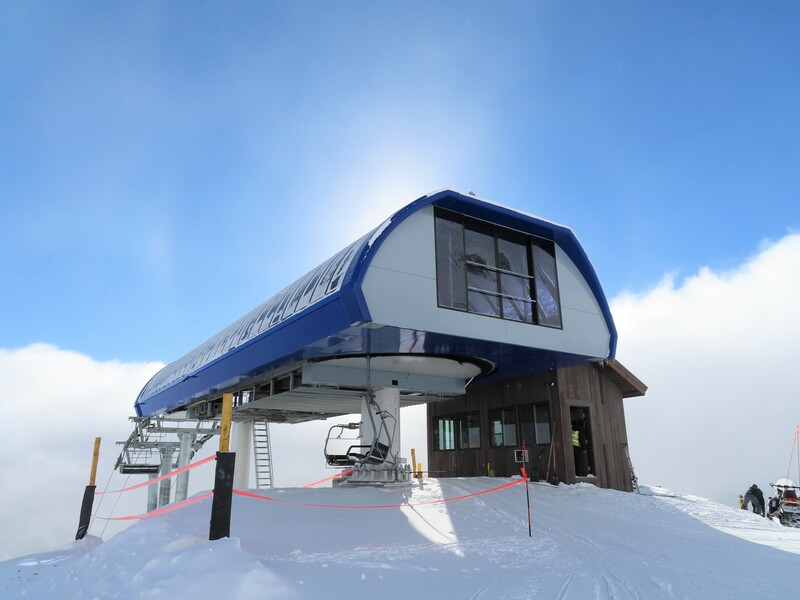 Considering how much downtime Super Bravo at Sugarbush has, I would think that the later Poma detachables are better. Although consider this, North Ridge can barely make it a week without having some sort of mechanical issue. I have NEVER heard of GMX breaking down. That’s strange! The return is first generation but the drive is second generation. I’ve never seen that before for a doppelmayr UNI built in 1993/94. The return on Thunderwolf is also a second gen Uni, but it is just the more compact version (I often call it the Tunnel version instead of the fully enclosed terminal). Mechanically it is the same as all of the other Uni returns, but the full enclosure was omitted. 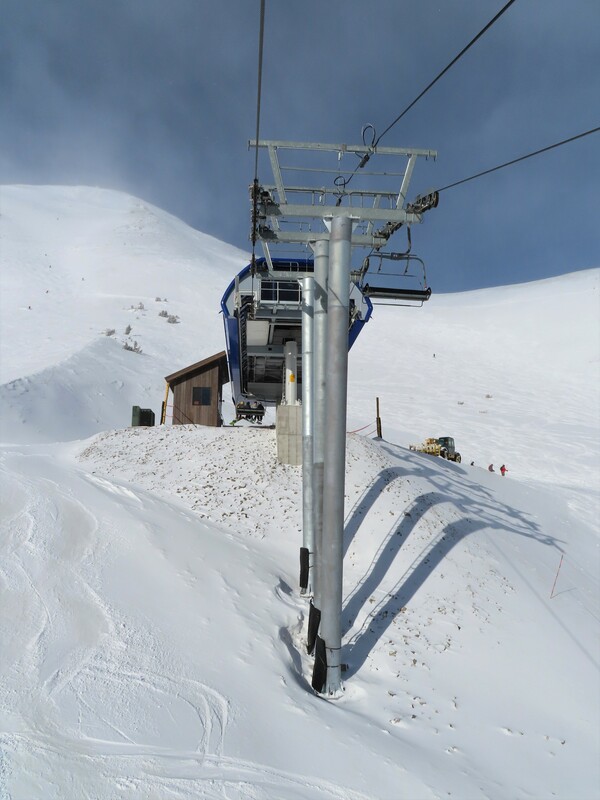 Boyne installed 5 of these early Unis at its mountains, all of which have fully enclosed drives and compact returns regardless of when they were built. 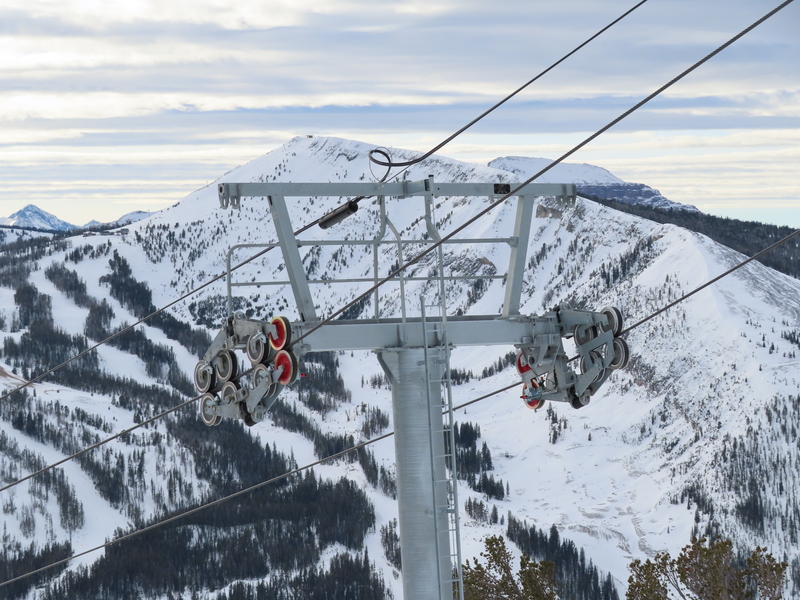 Why do the sticker numbers say Doppelmayr CTEC? 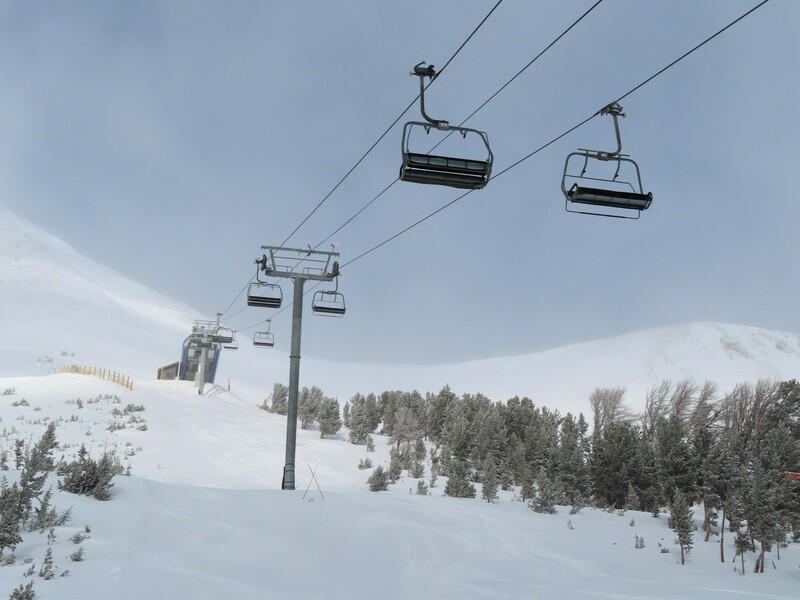 I recorded this lift back on Monday. Some things have changed since these pictures were taken. 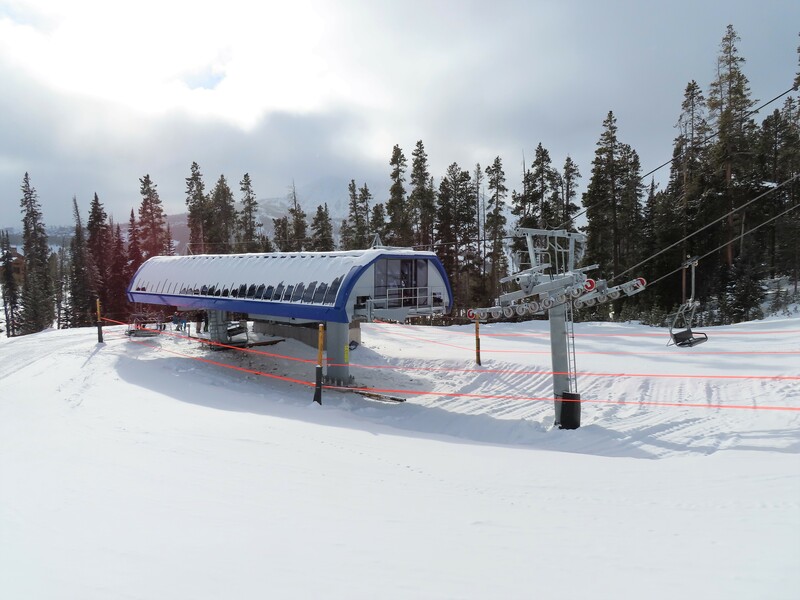 The chairs with worn grips have either been placed back on the line or removed from the maintenance rail. 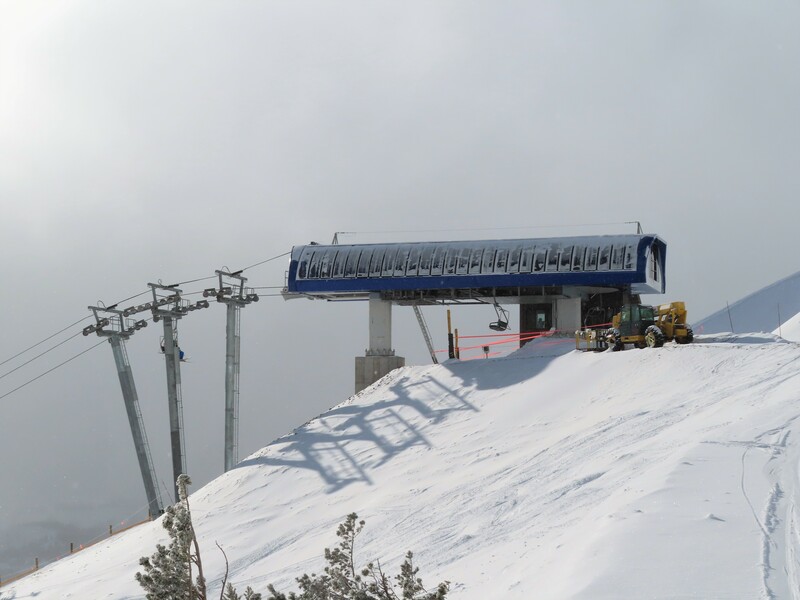 The rest of the terminal skins have been added to the top terminal and the fork lift has been removed. 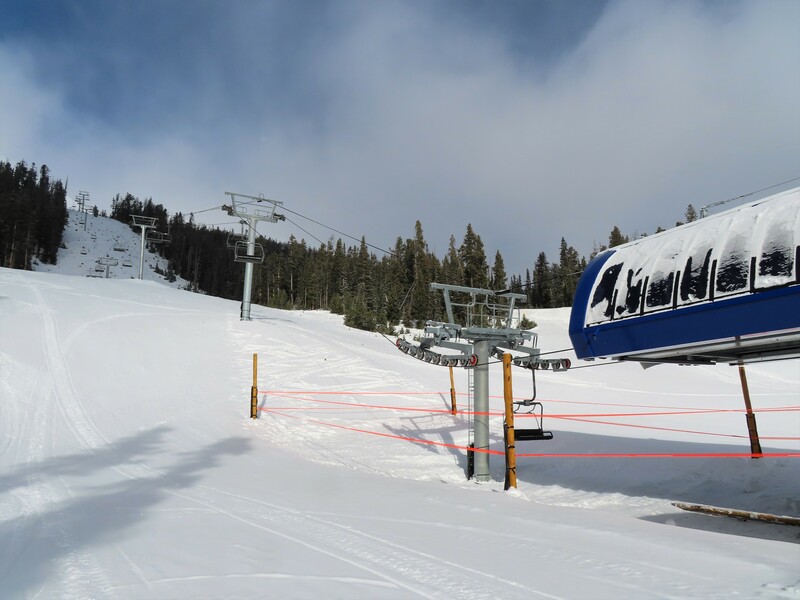 I think the Doppelmayr CTEC stickers were on the chairs when the lift was Ramcharger. 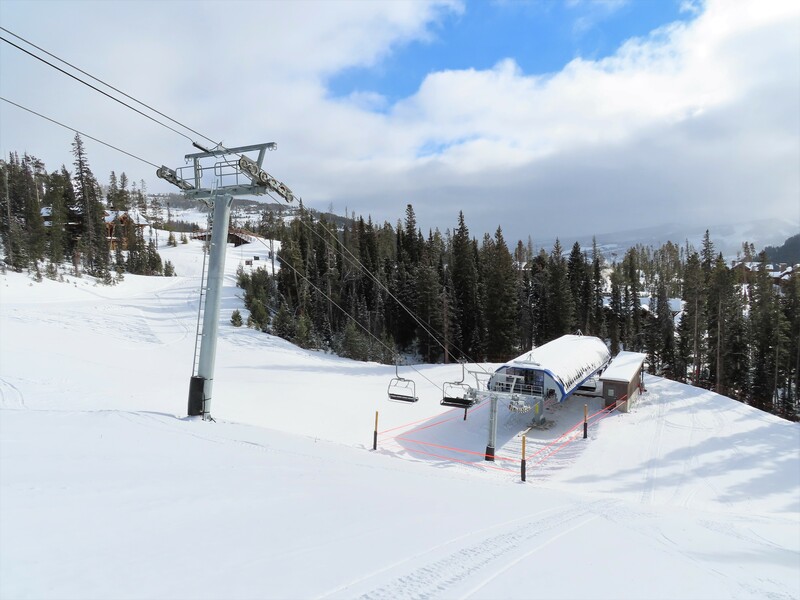 Your video of Thunder Wolf showed some Doppelmayr CTEC stickers on that lift as well. The new terminal skins look seamless enough that the only things making clear they are skins and not all-new terminals would be the exposed bullwheel at the bottom and the presence of DS grips.